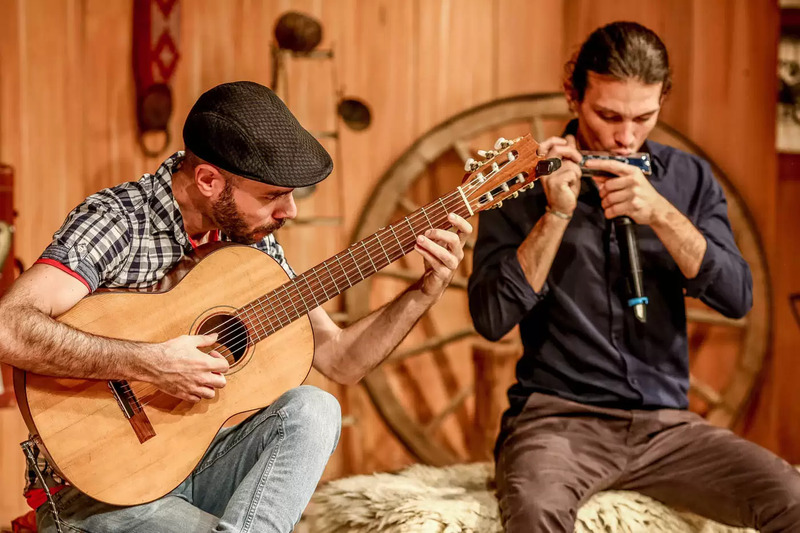 We are proud to open our World Music Workshop Series with Tanino Dúo, a duo formed by Fernando Sánchez (guitar) and Santiago Álvarez (harmonica), both teachers from the School of Popular Music of Avellaneda, Argentina. The workshop is organized by the International School of Music Finland in cooperation with the Global Music Centre. Why does folk music tend to sound wrong if a musician simply reads the notes from the sheet music? It is because personal interpretation is essential. This workshop focuses on the hidden aspects a musician should know and master in order to perform Argentine popular music in the correct style. It focuses first on the basic rhythmic patterns and the nuances of their performance; second, on the harmonic treatment related to these rhythms; and finally, on the phrasing analysis of the melodies used in each musical style. It is aimed at participants who already have basic or intermediate skills in playing instruments or singing.